It can start with just a simple good morning when you walk into the office. That little courtesy – acknowledging your coworkers – goes a long way to building a cohesive team. And a cohesive team will remain a motivated team. Constructing a team and leading it to success is built on interpersonal fundamentals. And it’s often the little things that are overlooked but, when implemented, can create a more interconnected environment. Here are some tips that I’ve used over the years while managing a marketing team. Keep the lines of communication open. Whether it’s regularly scheduled meetings or an email update, when you let your staff know what’s happening throughout the company, they feel a part of the team. No one likes to find out details after the fact. I like to schedule short weekly one-on-one meetings with each staff member. It accomplishes two things. My team knows they will have regular, uninterrupted time with me to update me on their projects and get answers in person rather than by email. Allowing for valuable one-on-one time to receive project updates from them, offering support and guidance and letting them know they’re being heard, builds mutual strength and confidence. If you have remote staff, use video chat to provide that face-to-face interaction. When your staff feels a sense of ownership and is given the ability to make decisions on their own, it’s a powerful thing. Of course, they need to be knowledgeable and not make decisions in a vacuum, but if you encourage them to consider all possible outcomes, that’s when you know your team is getting smart. Let them figure out the best way to resolve situations. If it’s the wrong decision or action, it becomes a learning experience on how to respond better the next time. Mistakes are often portals to new discoveries. You must first earn their esteem to give it back to them. I might sound a little maternal, but use your manners and treat your team with respect. They are all individuals with their own nuances, so respect their diversity and differences. Acknowledge team members who go above and beyond. Those who take on extra projects, complete tasks or projects ahead of time or exceed expectations should never go unnoticed on a resilient team. Employee recognition, either in person or in a team meeting setting, shows team members that you notice and appreciate their efforts. Recognition doesn’t have to have a monetary value. A simple verbal or written thank-you for an outstanding job can mean a lot. Remember your team members’ work anniversaries, birthdays and other milestones. Just acknowledging their special day makes a person feel connected. 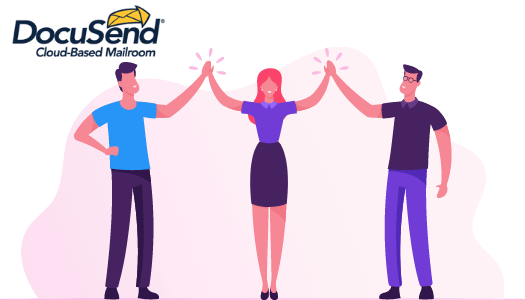 Whether it’s a birthday celebration with cake, or just a signed card from the team with happy birthday or anniversary wishes, it goes a long way toward showing you care about your team members as individuals. I was going to make a comment on flexibility here, but I thought it might be too much of a stretch. Actually, Jim Stewart insisted on adding that. He is incorrigible. Just read some of his blogs. But seriously, folks, life does get in the way sometimes. Dentist appointment, sick kid, volunteer board meeting… Things come up. If you’re flexible with the comings and goings of your staff, it will be appreciated. I found that doing little things, like telling them to leave a couple hours early on the eve of a holiday to beat the traffic, was much appreciated and contributed to goodwill. If the whole team can’t be allowed to leave early, create a rotating schedule so everyone has a chance to leave early at least one holiday eve during the year. Having your staff’s back is an incredible motivator. When an error occurs, such as a typo or incorrect piece of info, I address the issue with my boss without throwing anyone under the bus. I explain what happened, how it happened, and what processes we are implementing to ensure it doesn’t happen again, all without naming names. The responsibility falls on me for my team. You earn respect when you take ownership and understand that everyone is human. You’d be very surprised how the anxiety is diminished when your team knows you have their back. They work that much harder to ensure slipups don’t happen again in the future. Take the time to get to know each team member and learn their strengths and weaknesses. And then help guide them in their growth journey. Encourage them to step out of their comfort zone and take on projects or tasks that they may not have experience in but have an interest in. Have teaching moments and lead by example. And don’t just save this for the annual review process. Encourage growth throughout the year. A member of your team needs to get an answer from a higher-up on a project? Get them in front of other managers instead of doing it yourself. Nothing like giving them visibility so senior staff can get to know your team, and it lets your team members know that higher-ups are just people doing their job too. Periodically checking in with your group pays dividends. When a project wraps up, ask them what they liked about that particular project, and if they want to continue working on similar assignments. Identify their passions and place an emphasis on what they want to learn. That opens up opportunity for them when the department’s focus shifts, because you’ll already know who is interested in branching out to work on other things. So why implement all these tactics? That’s a no-brainer. A happier team is a more productive team. People like feeling that they are an important part of an organization. They take ownership when they’re engaged. They’ll work smarter and harder, and you’ll reduce turnover because they’ll have a sense of fulfillment. Who doesn’t want an environment where tension, complaints and friction are reduced? Better morale provides a foundation for a solution-driven environment that ultimately affects customer satisfaction. Most important, remember that in order to do your job as a team leader, understand and show that each member of your team has an important job to do. And when you foster a team setting where the team interacts regularly, supports one another and takes time for recognition, you’re fostering a healthy environment that can have a positive, long-lasting impact on the health of your business. As a business owner, manager or team leader, what do you do to keep your team motivated? We’d love to see your comments below!